Rohrwacher was Film Society of Lincoln Center’s Artist in Residence in 2016, during which time she worked on the script that became the Cannes-awarded drama Happy as Lazzaro, showing in this year’s Main Slate. Join Rohrwacher as she talks about her process bringing this unique vision to the screen. Mariano Llinás discusses the vision and process behind his singular, wildly inventive epic La Flor, which skips across a multitude of genres over the course of its fourteen hours. Dafoe will sit with NYFF Director Kent Jones to discuss his role in Schnabel’s vividly beautiful film At Eternity’s Gate, this year’s closing night selection, as well as his illustrious career and the craft of acting in general. 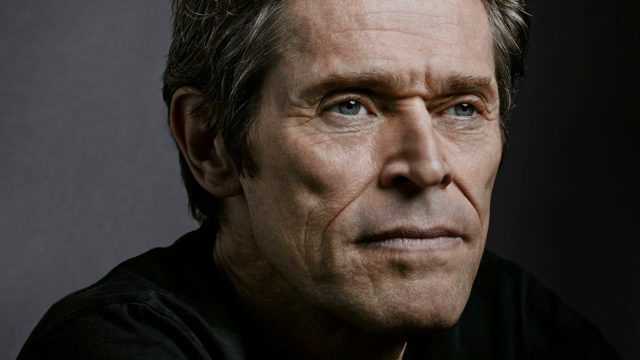 This entry was posted in New York Film Festival and tagged Alice Rohrwacher, Mariano Llinás, new york film festival, nyff, nyff56, Willem Dafoe by Melissa Hanson. Bookmark the permalink.